The Botswana Power Corporation (BPC) announced on Monday that the government has approved the structure and adjustment to electricity tariffs for the various customer categories effective 1 April. The power utility said in a statement that a stepped two-block tariff structure for domestic and small business category customers has been maintained to lessen the impact of the tariff adjustment on low-usage households and small scale businesses, as well as an incentive to use electricity efficiently. “The tariff for Domestic customers consuming up to 200kWh (units of electricity) will be adjusted upward by seven and half percent. A 10-percent electricity tariff increase for domestic category customers consuming more than 200kwh per month,” reads the statement. It said a 10-percent electricity tariff increase for small-scale business customers consuming 500 kilowatt per hour (kWh) or less per month while a 12-percent electricity tariff increase for small-scale business customers consuming more than 500kwh per month. 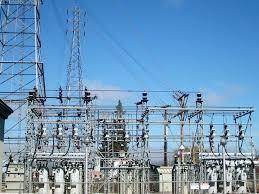 The increase, the release said, is aimed at assisting BPC to sustain its operations to meet growth in electricity demand.